Two (2) layers of sponge cake coupled with a layer of orange-flavoured cake with a dark chocolate ganache in between. 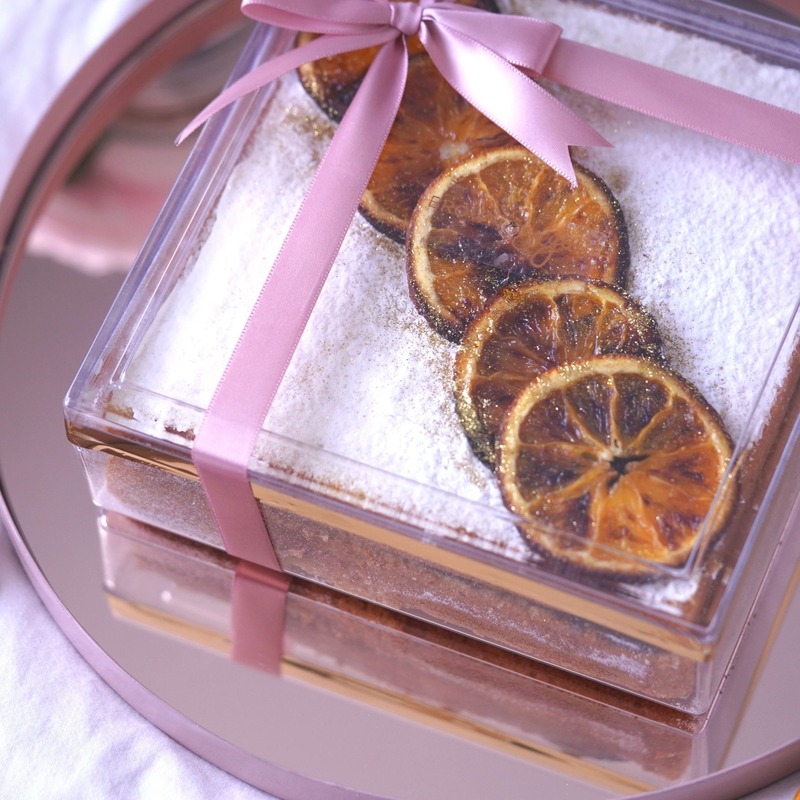 The top has been decorated with caramelised oranges. 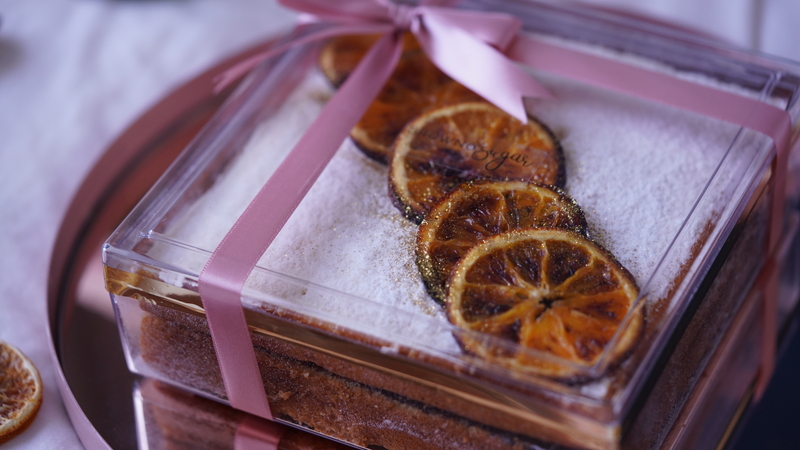 Our Orange Butter cake is both store and travel friendly. The best part is that this cake makes a suitable gift and it's more on the savoury side. 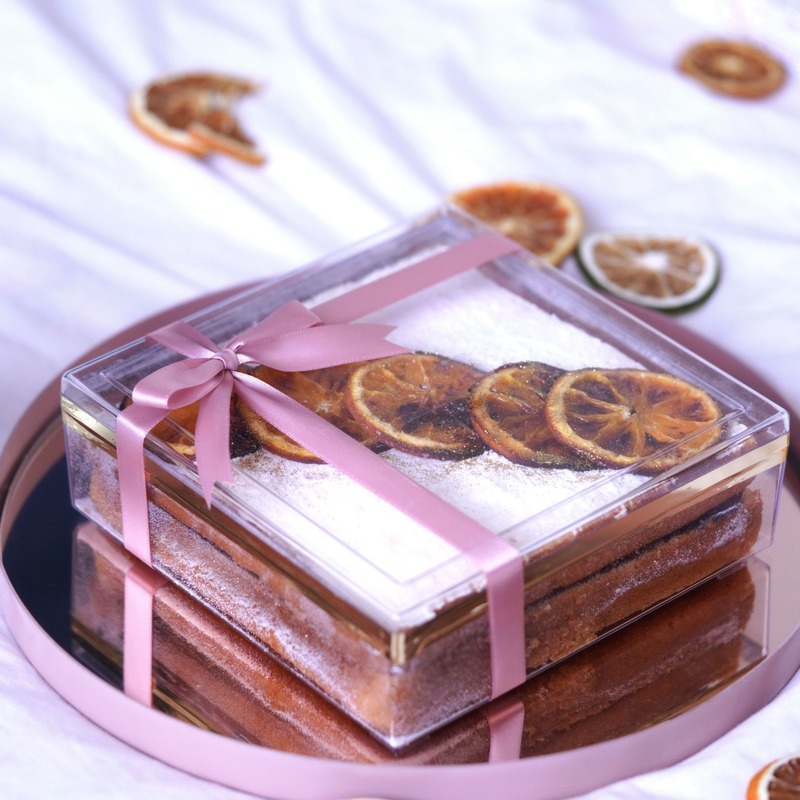 Standard Size - Two (2) layers of 7" Square Cake, (12 Servings) with approximately a height of 2.3"
We recommend that you enjoy them within four (4) days that you purchase them. To preserve its freshness, keep it in airtight container and keep away from direct sunlight. If you choose to refrigerate your cake, please take it out a minimum of 30 minutes before serving to ensure soft cake and soft chocolate ganache. *Please note, fruits are easily dehydrated.